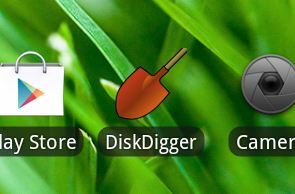 Diskdigger is one of the popular app for windows which allows you to recover your deleted files, now it was also available for the android devices. This App is available completely free of charge and you can download it from the Google play store. With this free app you can recover deleted photos and images from your Android device internal memory or memory card. It helps you to find your lost pictures and lets you restore them, or send them to an email account. 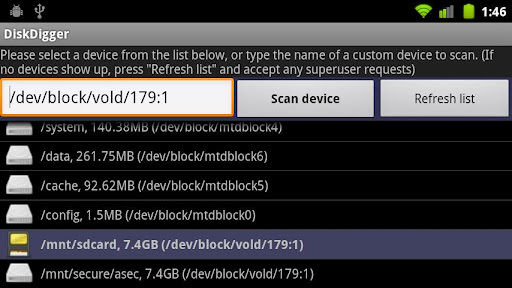 The Diskdigger android app is quite useful for recovering images from your android mobile that you were accidentally deleted, even if the memory card has been reformatted. 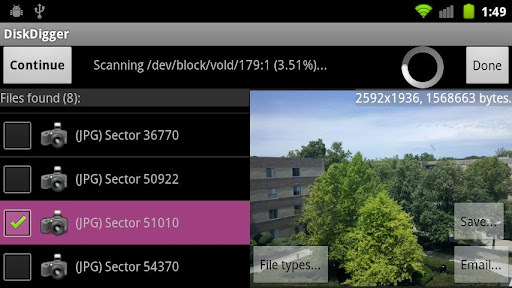 Currently the app is in the beta stage and will only recover the .JPG and .PNG files of your device. Note: To use this app on your Android Mobile device you need a rooted android device, so check out the guide How to root Your Android Device. To use the app and recover deleted images are really easy, all you have to do is install the app from the Google play store, after the installation launch the app on your android device, now you can see all the disk partition of your device. The memory card should appear as “/mnt/sdcard” or something similar. Now select the partition that you want to scan to recover the images and hit the Scan button to begin the scanning process. You will then see the main DiskDigger window, which shows you the progress of the scanning, as well as the recoverable files that have been found so far. Now from here you can select the files that you want to restore on your mobile device or want to send them via email. To do this just tap to the ‘Save’ button to save the scanned photo on your device or tapping to the ‘Email’ button will mail the image to the mail address which you had set. That’s it now you can recover all your deleted images form your Android device with this Free Android App, also do check our more Android Guides here for your android device.